AdvoWaste is Kansas' local alternative to professional, safe and reliable KS medical waste disposal services. We handle all types of biohazard waste and sharps removal for a wide variety of facilities in KS. Call us for a quick, hassle-free quote now at (316) 218-9395. See how Advo Medical Waste Disposal beats the competition in Kansas. We guarantee to save you at least 30% off of your current local medical waste disposal service in Kansas. We will provide you with an accurate price with a quick over the phone quote. Kansas is a state in the US which is located in the midwestern region of the country. It is named after the Kansa native American tribe which inhabited the area for thousands years. Kansas was settled by Europeans in 1812, and in the 1850’s population settlement expansion increased dramatically. In 1861, Kansas entered the union as a free state and after the Civil War the population continued to grow rapidly. Kansas is one of the most productive agricultural states, producing corn, soybeans, wheat and sorghum in high yields. 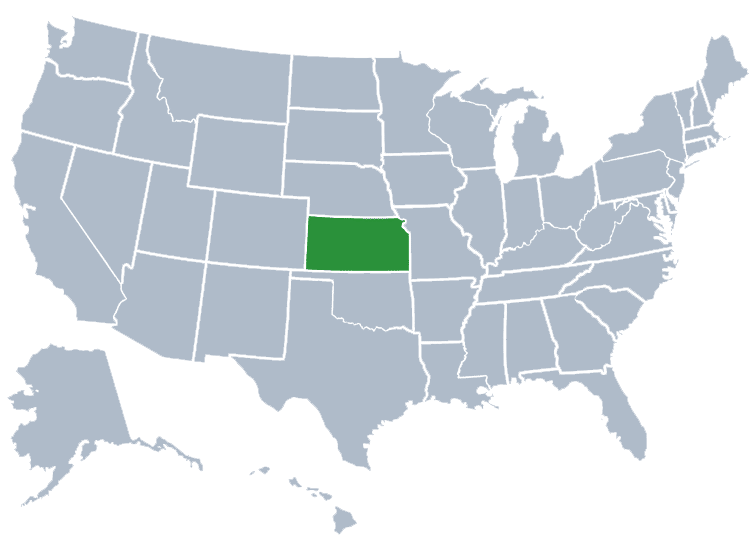 It is the 15th largest state by area and is bordered by Colorado, Nebraska, Oklahoma and Missouri. Kansas has many national parks and historic sites in the region, including the Pony Express National Historic Park, Lewis and Clark National Historic Trail, Nicodemus National Historic Site, Santa Fe National Historic Trail and Fort Scott National Historic Site to name a few. The most populous city in Kansas is Wichita. Wichita is the fiftieth most populous city in the United States. The second most populous city in Kansas is Overland Park. Kansas is nicknamed the “Sunflower State,” referring to the native sunflower that grows in abundance in the state. A sunflower can be found on the Kansas state flag above the Kansas state seal. Throughout the 20th century, Kansas became home to many public icons. The Presidential Library and tombs of President Dwight D. Eisenhower and his immediate family are in Kansas. Amelia Earhart of Atchison, Kansas, made her first flight in 1920 from the state. Dorothy of The Wizard of Oz calls Kansas home. The US Census Bureau has estimated the population of Kansas to be approximately 2,900,000 in 2016, which is about 53 people per square mile. The religion in Kansas is predominantly Protestant and Catholic. According to the Bureau of Economic Analysis, the total GDP of Kansas is approximately 141,000 Billion. Some of the major industries contributing to their economy are agricultural outputs, petroleum and gas production and the aerospace industry. The highest populated cities in Kansas are Wichita, Overlook Park, Kansas City, Topeka, Olathe, Lawrence, Shawnee, Manhattan and Lenexa. Wichita, Overland Park, Kansas City, Topeka, Olathe, Lawrence, Shawnee, Manhattan, Lenexa, Salina, Hutchinson, Leavenworth, Leawood, Dodge City, Garden City, Emporia, Junction City, Derby, Prairie Village, Liberal, Hays, Pittsburg, Newton, Gardner, Great Bend, McPherson, El Dorado, Ottawa and more.